Scott Edward Schwerdt, 61, passed away in his home in St. George, Utah, on Sept. 29, 2018, surrounded by family after enduring a long battle with cancer. Scott was born June 10, 1957, in San Francisco, California, the second child to Rene Marie Daley and James Fowler Schwerdt. He grew-up in Kentfield, California, and recalled many fun memories during his youth, whether it was pretending to be the Beatles with his friends, playing a game of catch with his Dad, summer vacations at Bear Lake, or “hill-skiing” down Mt. Tamalpais. Scott considered one of his greatest blessings to be the discovery of The Church of Jesus Christ of Latter-day Saints. Scott was baptized as a teenager and credits this decision with so much of the good that would later occur in his life. He graduated from Redwood High School and served an LDS mission in the Mexico Torreón Mission. He attended Brigham Young University where he met his beautiful wife, Julia Ann Jiron. They were married Aug. 4, 1979, in the Oakland Temple and were married for 39 years. They were blessed with seven wonderful children and nine energetic grandchildren who love their “Pop-Pop” with all their hearts. For Scott, his family was his greatest joy in life. During college, Scott also served his country in the U.S. Army 142nd Military Intelligence Battalion, where he became fluent in Russian. Following graduation from BYU, he worked for the Department of Defense on matters of national security. As a devout member of The Church of Jesus Christ of Latter-day Saints, Scott always placed his faith in the Lord to direct him in his paths. 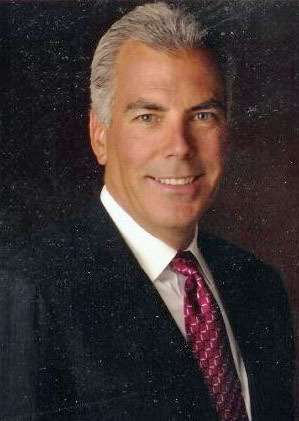 Scott was prompted to return to Utah and, after an interview with Steve Lund and Blake Roney at Nu-Skin Enterprises, he became their 47th hire in October 1988. Scott dedicated 29 years to a company that he knew was changing thousands of lives for the better. He was blessed to have his voice and counsel heard around the world. Scott was able to leave this life at peace, knowing that he honored his promises to the Lord, and with the knowledge that he will be with his loving family for all eternity. The family would like to thank all the health care professionals who worked tirelessly to restore Scott’s health and provide him comfort during his battle. Special thanks to Drs. Hunt, Couldwell, Oakley and Hitchcock for going above and beyond in their care for Scott. Scott is survived by his wife, Julia; children: Jasmine (Jason) Jensen, Chris (Jen) Schwerdt, Alex Schwerdt, Ian (Stacy) Schwerdt, Anna (Chad) Hernandez, Court Schwerdt and Colin Schwerdt; his stepmother, Lois Schwerdt; his siblings: Kerry (Ken) Keefe, Neil (Nora) Schwerdt, Dawn (Perry) Berensen and Danny Schwerdt; and his nine grandchildren. Scott was preceded in death by his father, James Fowler Schwerdt; and his mother, Rene Marie Daley. Funeral services will be held in Ivins, Utah, on Monday, Oct. 8, at 2 p.m., at the Padre Canyon Ward Chapel located at 625 East Center St. A visitation will be held, prior to services, from noon to 1:30 p.m., at the church. An additional visitation will be held in Lindon, Utah, on Tuesday, Oct. 9, from noon to 1:30 p.m., at the Lindon 15th Ward Chapel located at 1051 E. 200 South. Interment will be at 2 p.m. in the Eastlawn Memorial Hills Cemetery, 4800 N. 650th East, Provo, Utah. In lieu of flowers, donations may be made to the Cystic Fibrosis Foundation.